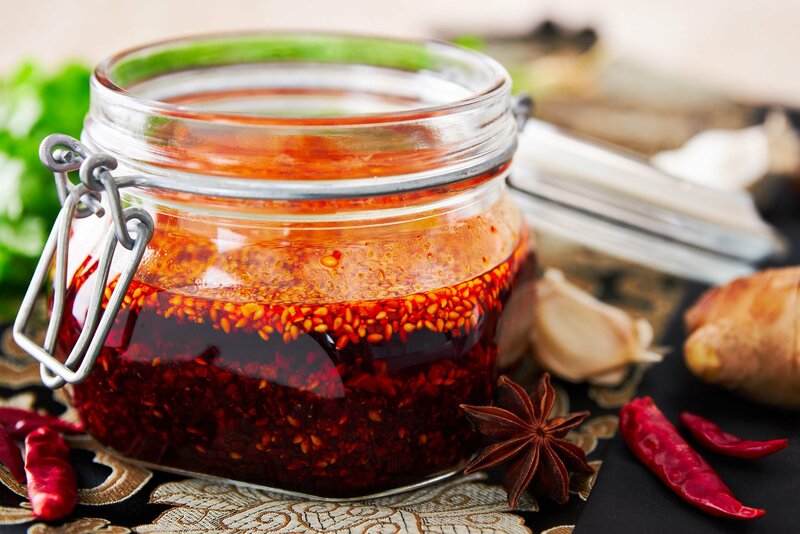 This easy Sichuan-style garlic chili oil (辣椒油 - là jiāo yóu) comes together in just minutes and makes for a delicious spicy condiment that you'll want to drizzle on everything. 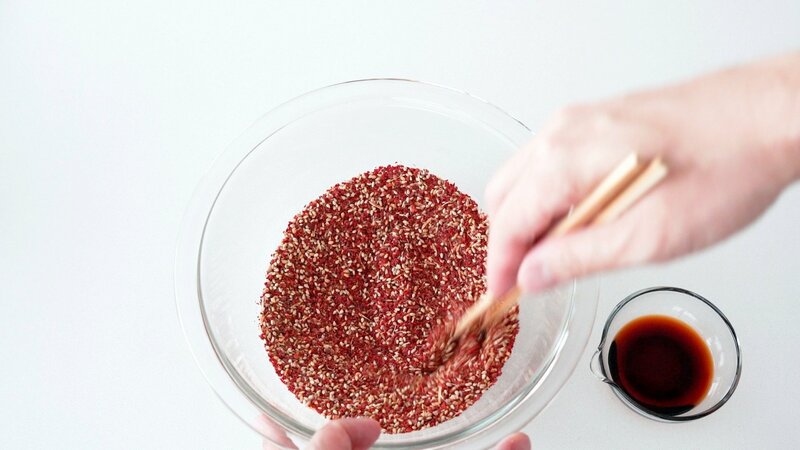 Loaded with crisp garlic, fiery chili flakes, and nutty sesame seeds, my take on this classic Chinese condiment features a boost in savory umami thanks to some dried scallops and a splash of soy sauce. One look in my fridge and the first thing you’ll notice is how many condiments I have, some are homemade, while others are store-bought, but one thing that a lot of them have in common is chili peppers. I’m not a hoarder by nature, but when it comes to hot sauce, I have a weakness, and it’s hard for me to resist buying something new and novel in addition to staples like Marie Sharp’s, sriracha, and yuzu kosho. One thing I’ve stopped buying is chili oil. It comes together in minutes from just a handful of ingredients I already have in the pantry, and making it myself allows me to control exactly how spicy it is while adding seasonings that turn it into a versatile condiment that makes almost everything taste better. Là jiāo yóu (辣椒油), literally means “chili oil” and is a popular Chinese condiment and ingredient. 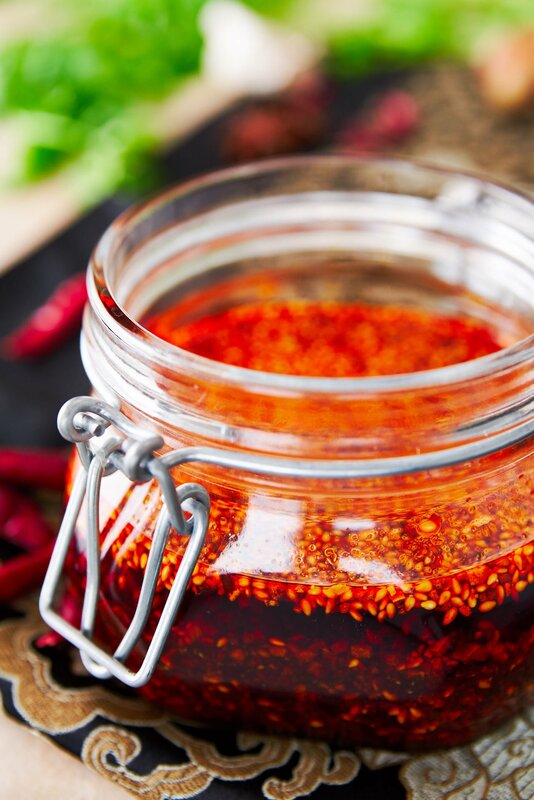 Sichuan Province located in southwestern China is renown for its fiery cuisine, and chili oil makes frequent appearances both in the kitchen and on the table. Because of its broad geographic distribution across China, there are dozens of methods of preparing chili oil, but I’m going to break down the components below and give you the info you need to come up with a household recipe for your own chili oil. Use a neutral flavor vegetable oil with a high smoke point for making this. You don’t want to use something like olive oil or unrefined sesame oil which both have a distinct flavor and low smoke points. I also like to stay away from oils that have a strong green color like Avocado oil, as it will make your chili oil a funny color. In China, it’s common to use soybean oil or peanut oil for making chili oil, but grapeseed oil or even canola oil will work. Personally, I like using rice bran oil. Not only does it have a high smoke point, but it also has a beautiful golden color that combined with the right kind of chilies, will give your piquant oil a vibrant red hue. While using Chinese chili peppers like Jing Tao, or Chao Tian Jiao would be the most authentic way of making chili oil. They’re not always easy to find, and I’ve found that coarse ground Korean Gochugaru tends to be easier to find and works pretty well. Gochugaru has an excellent chili flavor and vibrant red color, but it’s not the spiciest pepper, so if you like a lot of heat you may want to augment by blending in something with a bigger kick like cayenne, or arbol chiles. These two chilies are great for adding a bit of heat, but I wouldn’t recommend using them alone as they’ll crank up the heat to mouth-melting levels, and have a dull color (more orange/brown than red). Aleppo chilies are another reasonably good choice, as they have a deep red color, aren’t crazy spicy, and have a great chili flavor. Given that there are hundreds, if not thousands, of cultivars of domesticated chili peppers I’m sure many other types of chilies will work well for this recipe as well. If you end up experimenting and find a good combo, leave a comment and let me know! For my version of chili oil, I’ve simply used garlic and ginger which are fried in the oil. Scallions, shallots, and onions are all delicious options here, and if you want to go for a more complex flavor profile, you can use herbs such as ginseng, or even fragrant mushrooms such as shiitake. 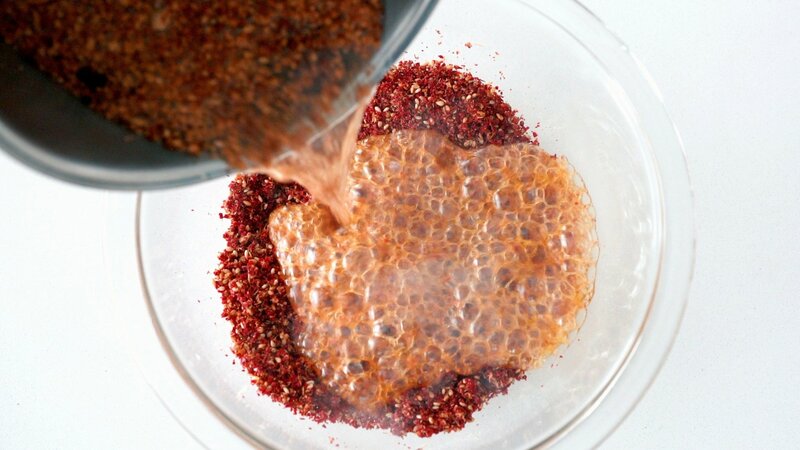 I like using a combination of ground Sichuan pepper and Chinese five spice for my chili oil. Along with the herbal punch of the five spice, that’s redolent of star anise, cloves, and cassia, the Sichuan pepper gives the oil the unmistakable málà (麻辣) balance of numbing and spicy that’s a hallmark of the region’s cuisine. My reason for using ground spices, instead of whole, is that the flavor of the spices infuses the oil faster when ground, and you don’t have to pick them out later. I do recommend buying your Sichuan Pepper whole and grinding it yourself though as this is one of those spices where the aroma and taste degrade rapidly once ground. 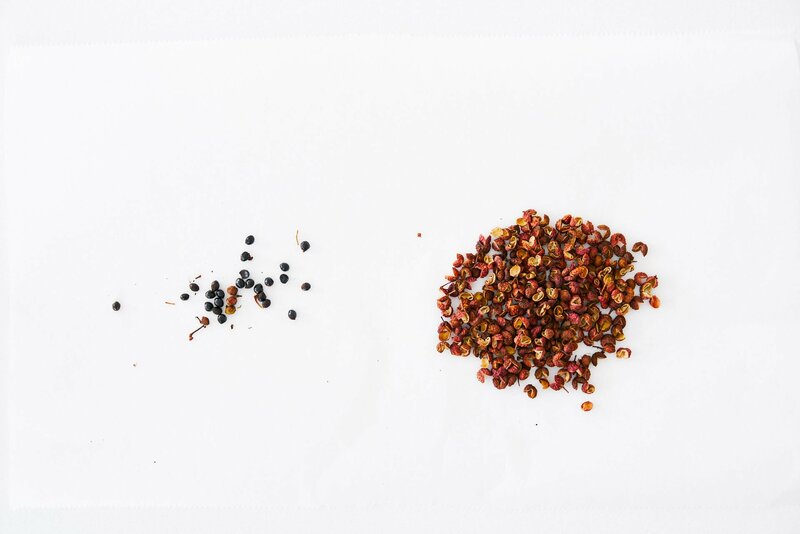 One thing you want to be sure of when you grind your Sichuan pepper is to pick through it and remove and discard any hard black seeds or twigs (i.e., you only want to use the red hulls). The seeds are rock hard and will give your ground pepper a gritty sandy texture that’s very unpleasant. I also have a recipe for Chinese Five Spice Powder, if you’d like to make that from scratch as well. 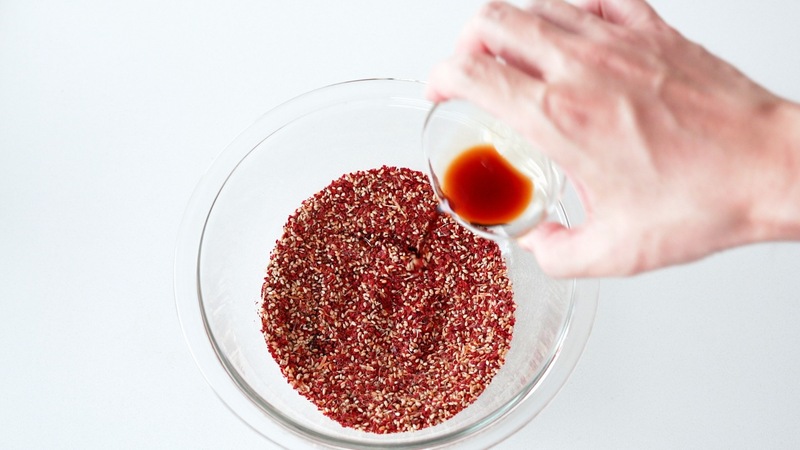 Seasoning your chili oil is optional and depends largely on how you plan to use it. For me, this is one of those condiments that I pour on everything, so to max out its taste as a stand-alone condiment, I like to season it with some soy sauce and perhaps a bit of salt. When you pour the oil over the chili mixture, the liquid evaporates, leaving your red oil with the umami-rich flavor of caramelized soy sauce. 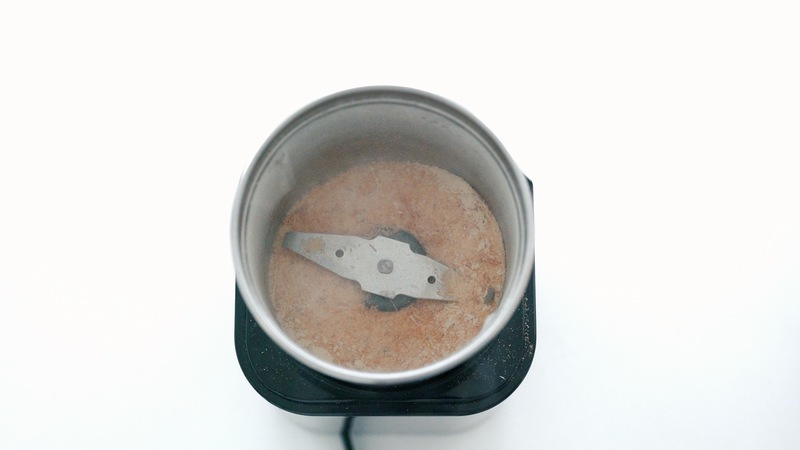 By seasoning the oil, this allows me to use it as both a seasoning and a hot sauce, which makes it great in noodle soups and stir-fries but also works over hot rice, or scrambled eggs. For additional flavor, I also like to add dried scallops to my chili oil. This provides a powerful boost of savory umami without making it overtly fishy, like adding dried shrimp would. If you want to make you chili oil plant-based, you can and shiitake mushroom powder instead. 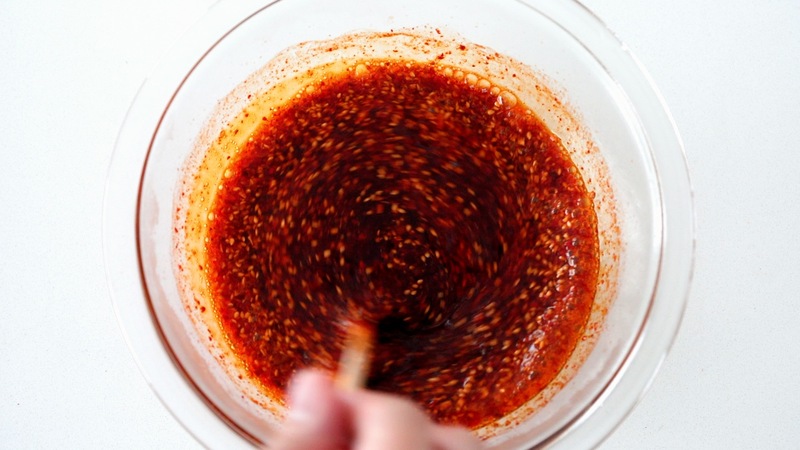 The process for making chili oil is straightforward. Some recipes will have you fry all the ingredients in oil, but chili flakes burn very easily, and they turn bitter when burnt. That’s why I find it safer to pour hot oil over the other ingredients, which helps coax out the color and capsaicin without scorching the peppers and spices. Since aromatics such as garlic and ginger have a lot of moisture that needs to burn off, I fry these in the oil before adding them into the dry ingredients. The aromatics get fried until golden brown and crisp, which gives the chili oil a wonderful nutty flavor while increasing its shelf-life. If you want a more intense garlicky flavor you can reduce the frying time; however your chili oil won’t keep for quite as long. For liquid ingredients such as soy sauce, you want the moisture to evaporate, but adding a liquid to hot oil is a bad idea. That’s why I incorporate a small amount into the chili peppers before pouring the oil over them. 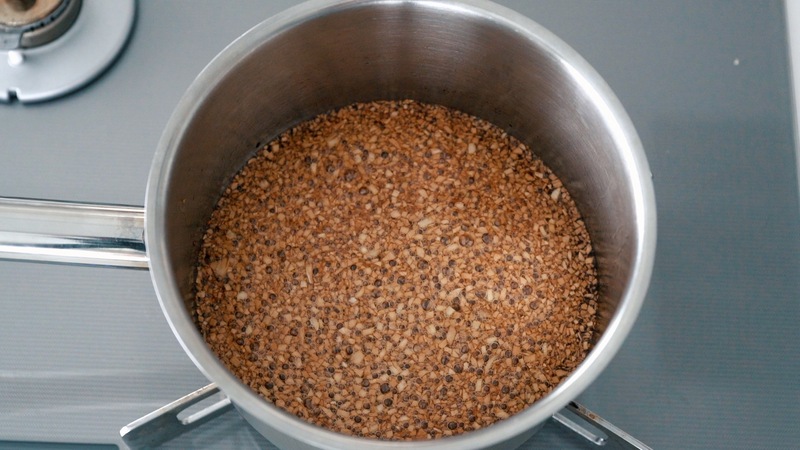 If you want to add more flavor, I recommend using freeze-dried forms of the liquid, or just using salt. To grind the Sichuan Pepper, first pick through the peppercorns to remove any black seeds or twigs. 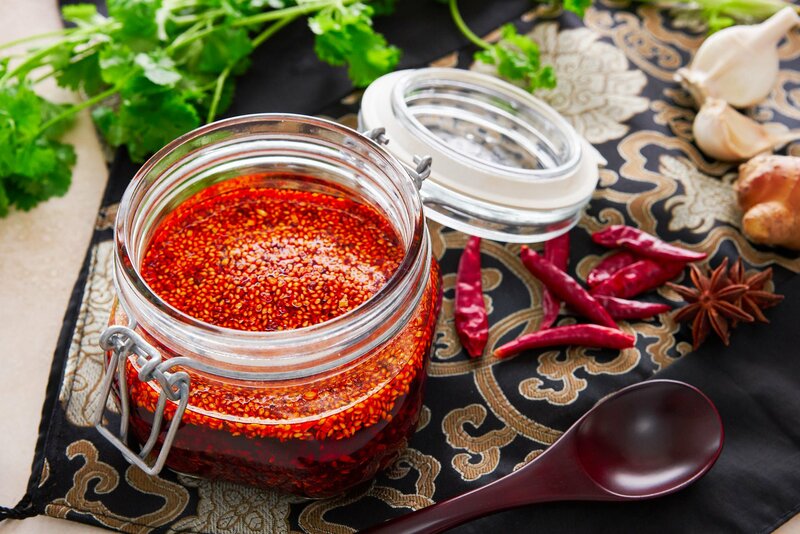 Add the peppers to a spice grinder, or use a mortar and pestle to grind them into a powder. If you're going to add dried scallops, put them in a spice grinder or small food processor and pulse until coarsely ground. Add this to the chili peppers mixture and mix. Add the chili pepper flakes, sesame seeds, dried scallops, Sichuan pepper, and five-spice powder to a bowl and stir to combine. Add the soy sauce to the pepper mixture and stir to distribute evenly. Add the oil to a saucepan over medium heat and heat preheat until hot. Add the garlic and ginger and fry until golden brown and not sizzling as much. The idea is to get the garlic crisp, without burning it. Once the garlic is golden brown, immediately pour the hot garlic and ginger oil into the chili flake mixture. The oil is extremely hot, and it will sizzle as you add it to the chilies, so be very careful. Stir your chili oil until the sizzling subsides and then let the mixture come to room temperature before bottling, it's best to let the mixture steep for a day or two to get the maximum flavor into the oil. Store the chili oil in the refrigerator.